Students are to create a list and print the "glossary", stapling it in their notebook. This is a large assignment and should be completed over time. What happened to the "work" as more objects were added to the pile? What is is the equation to calculate work? In this activity was there a constant? Variable? 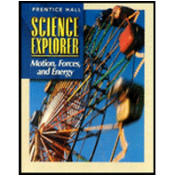 Can objects transfer between kinetic and potential energy? 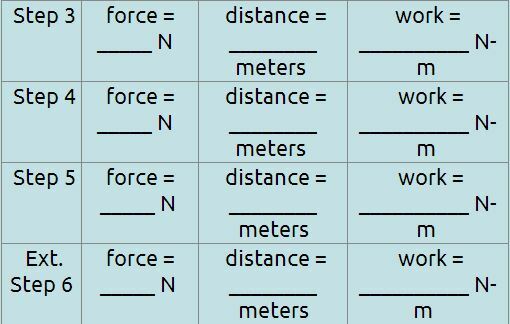 Define kinetic and potential energy. Describe how the movement of the can demonstrates the transition from kinetic to potential energy. Describe how the movement of the can demonstrates the transition from potential to kinetic energy. Where is the potential energy contained? Staple/glue this diagram in your notebook then highlight or circle the forms of energy. How does the gravitational potential energy of straw rocket depend on the elastic potential energy of the rubber band launcher? Using graph paper, show your results. The gravitational potential energy goes on the vertical axis, and the amount of stretch goes on the horizontal axis. Looking at the graph, what conclusion can you reach about the relationship between the gravitational potential energy of the rocket and the elastic potential energy of the rubber band? How do you think the amount of energy before the rocket was release compared to the amount of energy after the rock was released? How can you change how much power you extend while doing and exercise? 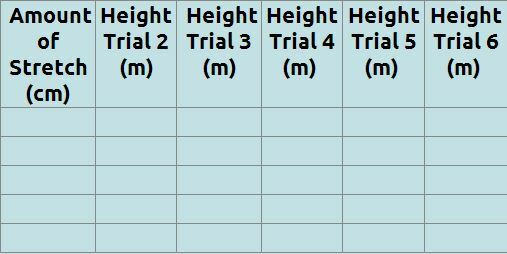 Compare the amount of work you did during your first and second trials. Compare the amount of power you produced during your first and second trials. Did you or your partners all do the same amount of work? Explain. Did you and your partners all produce the same power during your trials? Explain. List each temperature scale and the freezing and boiling points in each. These "gizmos" may not work for all people.